Regular readers of this blog will notice that I've been sharing more and more home decor posts with all of you. The truth is, I've always been a lover of any creative DIY project, and my love of food has always been linked to my love of pretty tableware. So, it was only natural that I start sharing some of my decor inspiration with all of you! As a regular contributor for Style at Home, decorating is a topic I love to discuss during work hours as well as during my leisure moments. From holiday gift-wrapping tips, to easy DIY ideas and tabletop inspiration you'll be seeing more decor-themed posts so I hope you enjoy them! These tables were incredibly easy to put together and I'm really happy with the end-result. It’s also a really budget-friendly project as each table can be made for under $25! If you’ve ever shopped at IKEA - and who hasn’t! 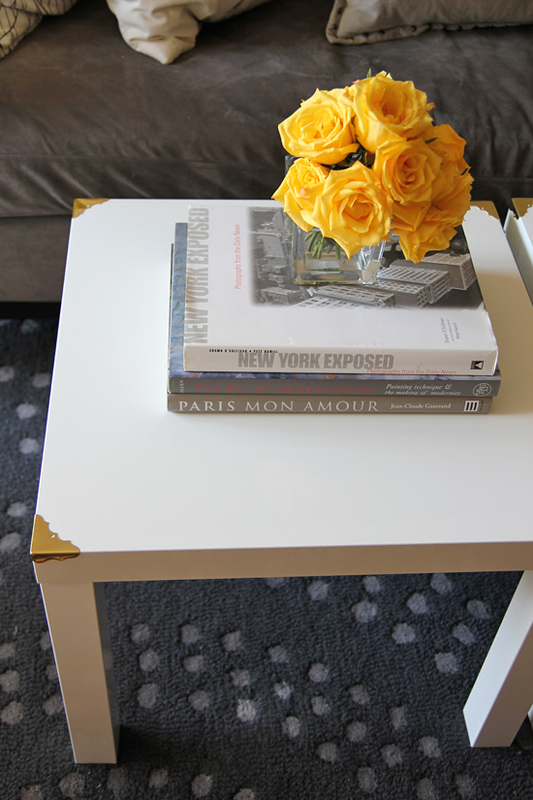 - you’re probably familiar with these incredibly popular LACK side tables. IKEA now makes them with a high gloss finish which adds a little dose of luxury and shine to these basic tables. 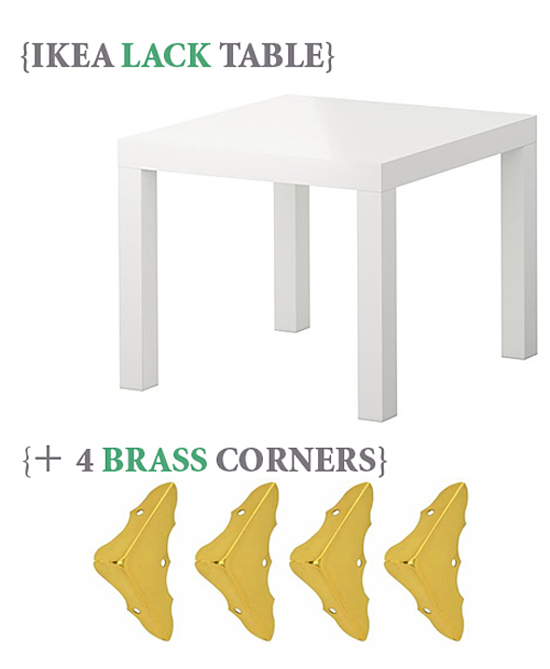 I bought two of them, and then glued a few decorative brass corners over each corner of the table. You can find the corners at most hardware stores for usually about $5 for a pack of 4. I stumbled upon this fun idea while browsing through Apartment Therapy's website. What do you think of the final result? I love how the brass fittings add an air of classy elegance and quirk to each table. And all for $25! Juanita: I do too - and it's definitely a very, very inexpensive DIY!